Get your baskets ready—there's a categgstrophe brewing! 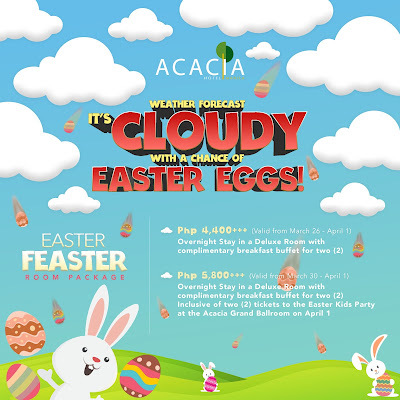 Hop on to Acacia Hotel Manila's Easter Kids Party and celebrate Eastertime in cloud nine! Let your day be filled to the brim with amazing games, booth activities, scrumptious buffet, fun-tastic performances, and amazing prizes! Tickets are now available for purchase at the Front Desk. They also have room packages for the long weekend which includes tickets to their Easter party. Party Like A Rockstar! 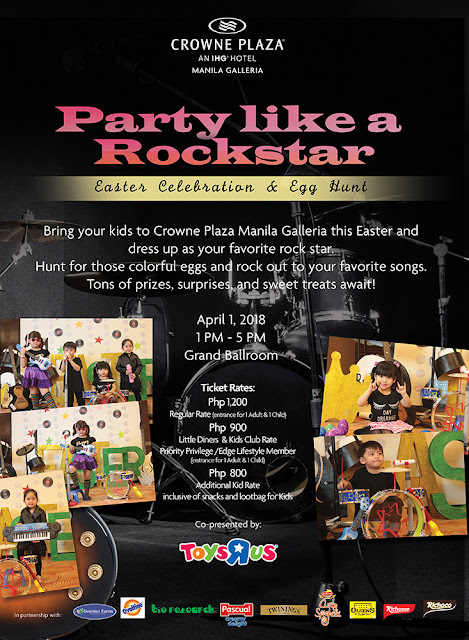 Bring your kids to Crowne Plaza Manila Galleria this Easter and dress up as your favorite rockstar. Hunt for those colorful eggs and rock out to your favorite songs. Tons of prizes, surprises and sweet treats await! 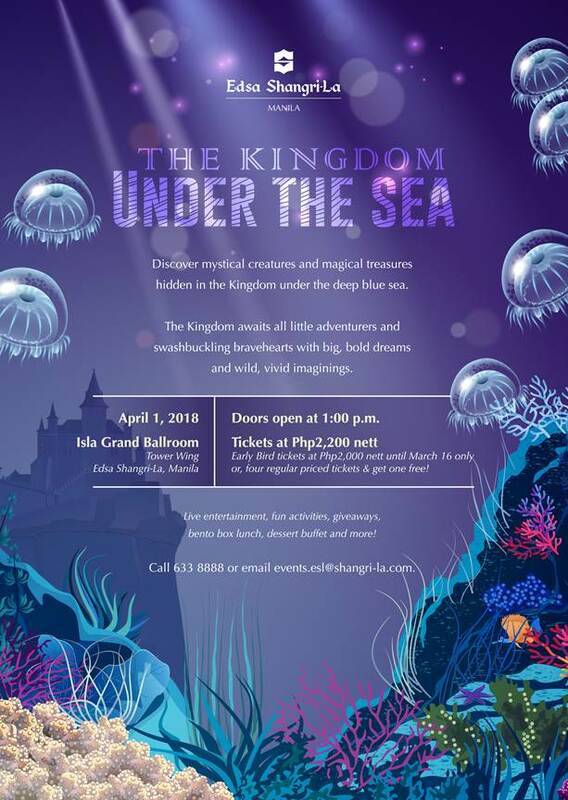 Discover mystical creatures and magical treasures hidden in the Kingdom under the deep blue sea. The Kingdom awaits all little adventures and swashbuckling bravehearts with big bold dreams and wild, vivid imaginings. Call +63(2)633888 or email events.esl@shangri-la.com for more details. 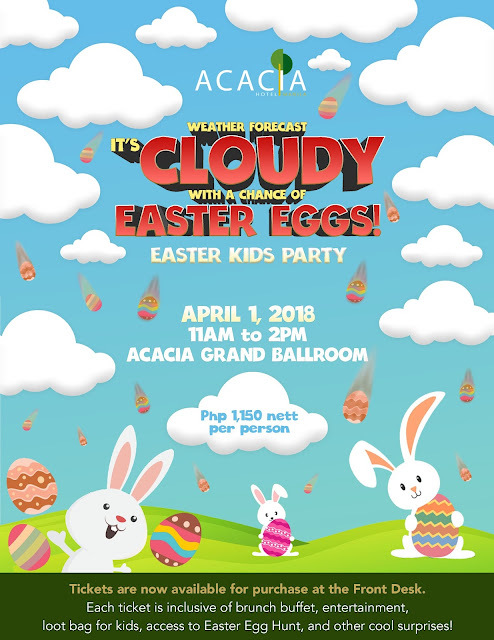 Join Adventure Zone’s Boni the Bull at this year's Easter Kidchella for a jampacked afternoon of activities! An array of activities are in store for members and guests alike, like Easter egg cookie decorating, musical improvisation and storytelling by local group Ispriktik, family dance and games and Brickz 4 Kidz’s building blocks. The festival concludes with an Easter Egg hunt. Tickets are inclusive of a single entry day pass to Adventure Zone valid from March 10 to April 31, 2018 and fully transferable. This includes a single-entry access for up to five hours per child. You can read my review on Adventure Zone here. 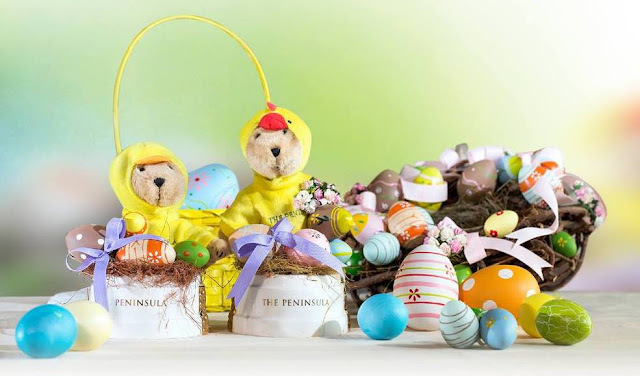 Celebrate Easter with the Pen Days of Easter Weekend Escapade room package or enjoy Escolta's delicious Easter Sunday Buffet Brunch and get a complimentary passport to wander The Peninsula Manila's enchanting Secret Easter Garden for children 6 years old and below. Room rates start at Php 8,500 net. For inquiries or reservation, call +63) 8872888, externsion 6630 or email pmn@peninsula.com. 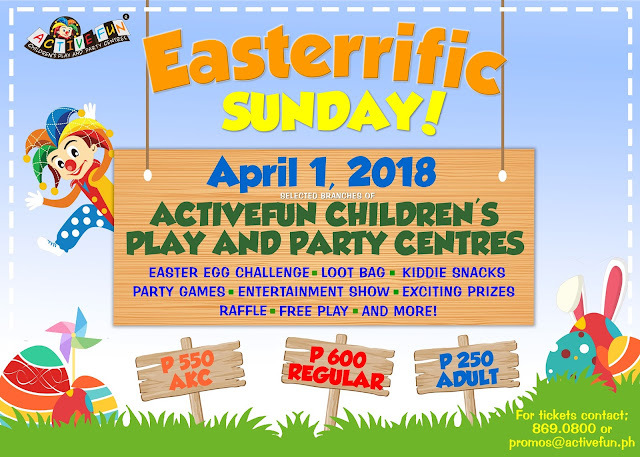 Head on over to selected Active Fun branches and join the celebration with magic tricks, parlor games, mascot dance, art activity, loot bag, raffle, free play, and so much more! I hope this list helps you choose which party to go to. But really, if you decide to just go home or have a simple dinner after Easter Sunday Mass, then no worries. What's important, is that you spend time with your kids and let them know what the true meaning of Easter is. I will still be on the look out for other Easter events and promos that I think will be worthwhile. If you have any events that you would want to share, just comment below or send me a message. You should check them out. They all look like fun. I'm still contemplating if we will attend Easter event this year. Two years ago we had Easter Staycation at Vivere Hotel. My son had a great time pero medyo expensive din kasi mga tickets. 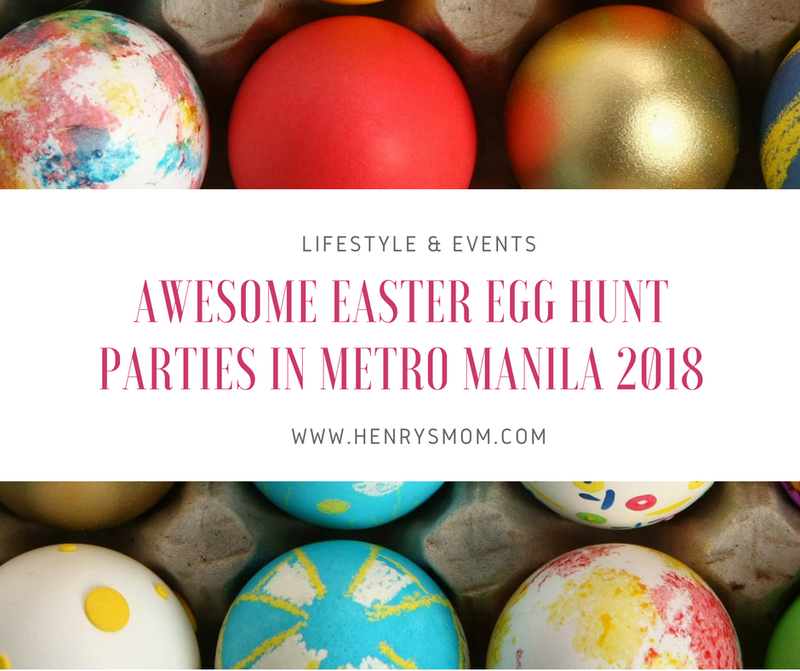 There are staycation offers that comes with free tickets to their Easter party. I'm sure it will be worth it.